He is the director of Innovation and Research at SJD Barcelona Children's Hospital since 2008. He earned a degree in Medicine in the Autonomous University of Barcelona (UAB) and he is a specialist in Paediatrics (Resident Medical Internship Training at Vall d’Hebron Hospital). He completed the Management Development Programme (PDD) at the IESE Business School and has studied in different healthcare management programmes (EADA: Management Course for Departmental Heads; IESE: Senior Healthcare Management Programme). He is the chairman of the Research Committee and director of the Faros Observatory for paediatric and adolescent health in this Institution. 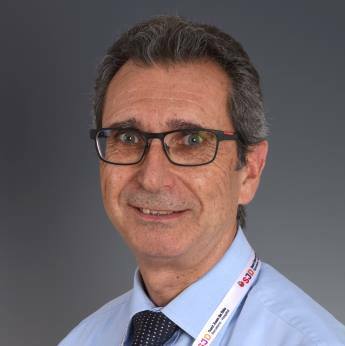 He previously held many management posts, including Medical Director of the SJD Barcelona Children's Hospital (1998 - 2008), head of the Paediatric Department (Manacor Hospital Foundation), head of Paediatric Oncology (Son Dureta Hospital, Mallorca) and Associate Paediatrician (Paediatric Oncology, Vall d’Hebron Hospital).